Truly a feat in terms of complex, well-balanced flavor, Caldwell’s The King Is Dead joins the ranks of the greatest boutique cigars on the market. A Dominican puro topped off with a dazzling, toothy and oily vintage 2008 Dominican Negrito wrapper and zesty Corojo binder, The King Is Dead’s full-bodied profile is rife with balanced tasting notes of rich cedar, spicy pepper, savory espresso, and more. Hints of maple sweetness permeate the final two thirds of this intriguing artisan blend. 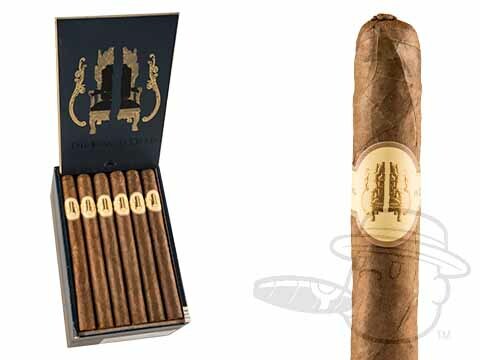 Cigar Aficionado has called The King Is Dead an “uncommon” cigar, which we can only assume is a compliment since it was accompanied by an outstanding 93 rating. Fire up Caldwell’s king and we’re sure you’ll be royally impressed as well.